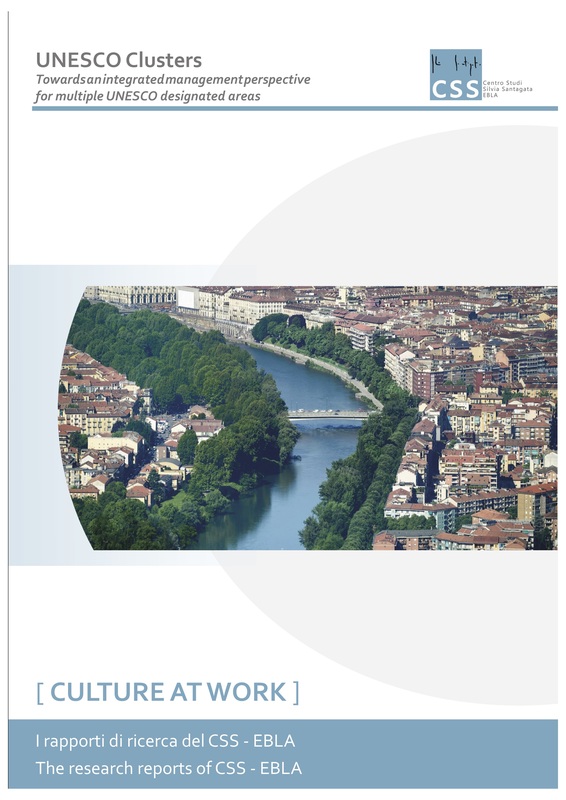 This paper explores, from a multidisciplinary viewpoint, some of the most important questions relating to the management of heritage systems on the territorial scale, such as historic cultural routes, with specific reference to the vision and approach of UNESCO. In fact UNESCO World Heritage (Batisse, Bolla 2005), which now counts more than 1000 listed sites, is facing a significant transition both in terms of its recognition procedures and of management tools, particularly with regard to the challenges posed by the 2030 Sustainable Development Agenda. Aside from the administrative aspects, which strictly depend on specific national regulations, there are other management issues of which heritage organisations should be aware and that they should be ready to question. Intangible Cultural Heritage is a significant force for 21st century Europe. 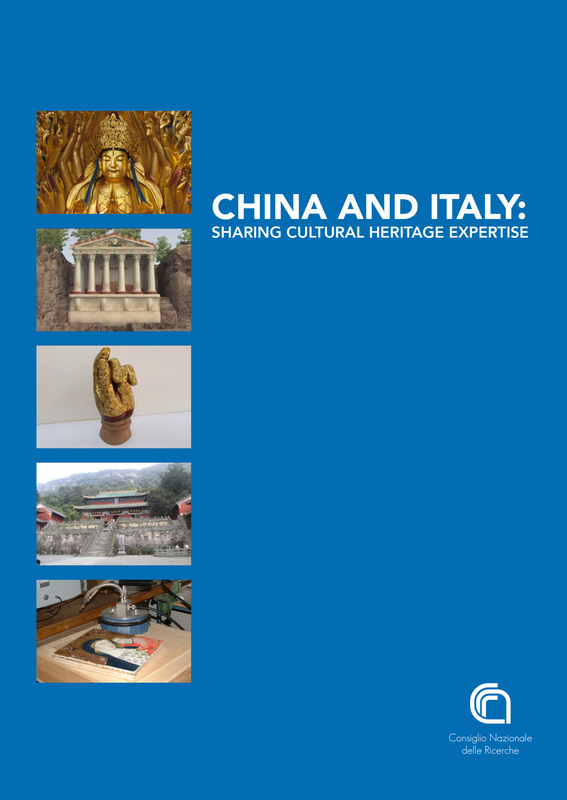 The benefit of Intangible Cultural Heritage (ICH) have most commonly been seen in terms of social cohesion and engagement as a way of bringing together communities. The Intangible Cultural Heritage means “the practices, representations, expressions, knowledge, skills – as well as the instruments, objects, artefacts and cultural spaces associated therewith – that communities, groups and, in some cases, individuals, recognize as part of their cultural heritage. This intangible cultural heritage, transmitted from generation to generation, is constantly recreated by communities and groups in response to their environment, their interaction with nature and their history, and provides them with a sense of identity and continuity, thus promoting respect for cultural diversity and human creativity”. (Article 2, 2003 Convention for the Safeguarding of the Intangible Cultural Heritage). In this report, focus is dedicated to European Funding Programmes that could include ICH as topic. The aim is to analyse how the European Union, as an organization expanding in the culture field and developing its cultural policy, reacted to the protection and preservation of Intangible Cultural Heritage. 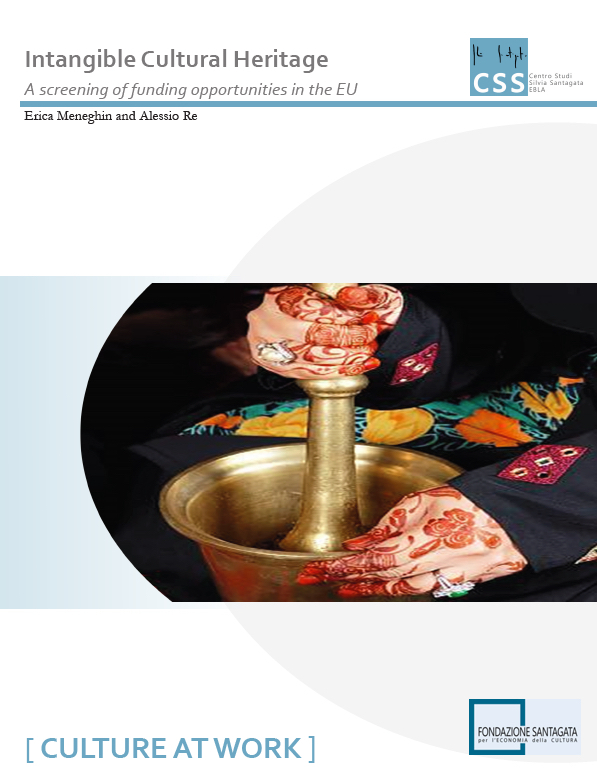 European funding programmes are listed according to their respective thematic areas: 1. Security and citizenship: includes justice and home affairs, border protection, immigration and asylum policy, public health, consumer protection, culture, youth, information and dialogue with citizens. 2. Smart and inclusive growth: competitiveness for growth and jobs; economic, social and territorial cohesion. 3. Sustainable Growth: Natural Resources: includes the common agricultural policy, common fisheries policy, rural development and environmental measures. 4. Global Europe: covers all external action by the EU such as development assistance r humanitarian aid with the exception of the European Development Fund which provides aid for development cooperation with African, Caribbean and Pacific countries, as well as overseas countries and territories. In addition, it gives some concrete examples of how European projects could involve the intangible sphere. It is evident, that EU policy in the field of Intangible Cultural Heritage has been, until now, insignificant and not specific in comparison to other areas of its activities. The report suggest that ICH has been a positive economic, social and environmental driver. Innovative financing, public private partnerships, crowd-sourced funding, philanthropy and many other innovative and creative approaches have been taken to releasing the locked-up potential of Europe’s intangible heritage. The World Heritage Committee in its 16th session, inscribed Cultural Landscapes, characterizing those mixed type of heritages which neither had purely natural nor purely cultural properties, as an option to be included in the World Heritage Lists thus spearheading the proliferation of studies from states, specialists and academics on the different aspects surrounding the concept. Amidst the increased popularity however, some cultural landscapes remain in the brink of danger and loss of culture. 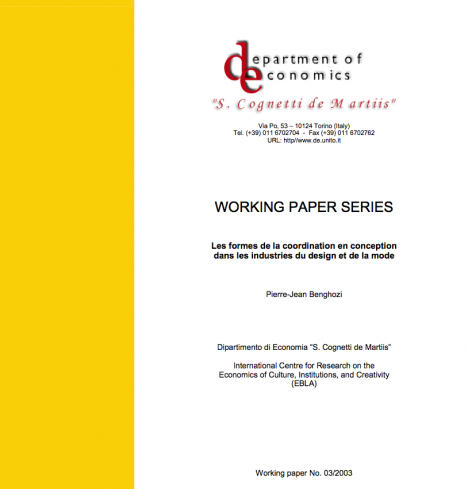 Based from the cultural economics approach, this study firstly provides an overview on economic valuation methodologies revealing possible limitations not considered from within the discipline as non-use and cultural values that form part of the regenerative properties of the site. 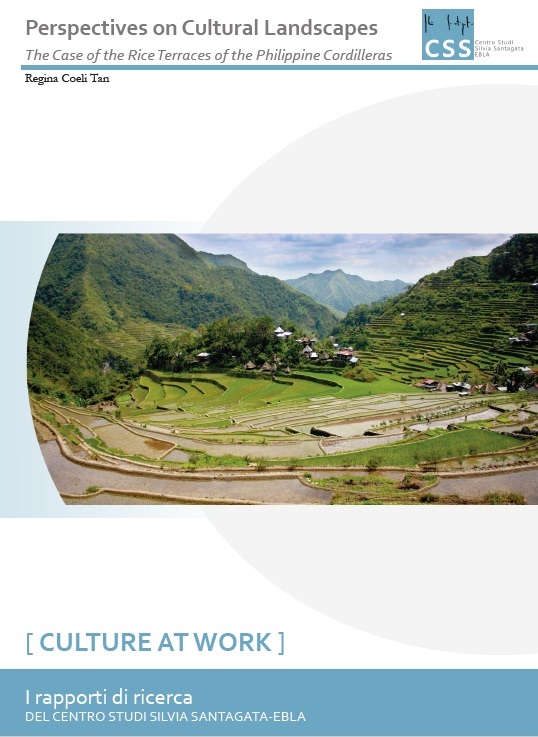 Following this, the research then draws from multi-disciplinary studies with emphasis on the growing literature on cultural commons to provide perspectives on the role of the said values to sustainability. The study then culminates on a case of the Rice Terraces of the Philippines Cordilleras to provide real-life application of findings. 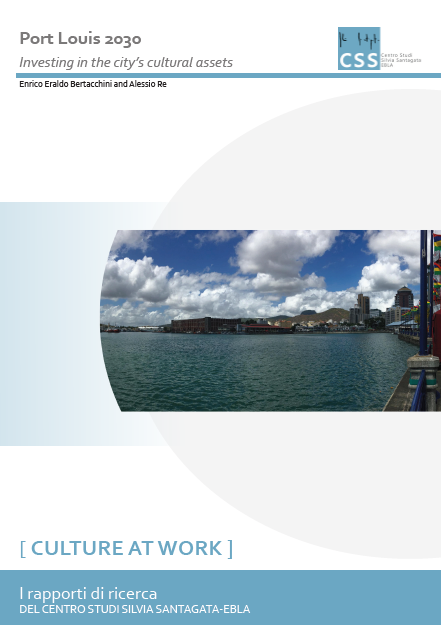 The main target area to which is directed the Local Economic Development Plan is the city center of Port Louis. This area, which extends beyond the currently defined buffer zones of the UNESCO World Heritage property, has been selected in accordance with the application of the principles of UNESCO Historic Urban Landscape recommendation. The objective of the LED Plan is to foster economic development in line with the concerns of the local community regarding heritage properties of the city of Port Louis, and to offer opportunities for the consolidation and the development of economic activities in the city area. The goal is also to consolidate and improve the existing framework by directing development towards the preservation, enhancement and adaptive reuse of heritage while diminishing the threat of its demolition and degradation. Employment in the Creative and Cultural Sectors. Evidence from a sample of European countries. According to the UNESCO Institute for Statistics, understanding the contribution of cultural employment to the economy is vital. Without appropriate methods of measurement and reliable statistics, countries lack the tools necessary to evaluate the extent and characteristics of cultural employment in a comparable way (UNESCO, 2009). Nevertheless, the statistical analysis of employment in the creative and cultural (CC) sectors and, even more so, any attempt of its international comparison, are fairly underdeveloped. The aim of this study is to fill this knowledge gap with the available statistics. Even given a framework of limited available data, some interesting information and measures about cultural employment in the European Union (EU) can be highlighted. Bearing in mind that the statistical description also represents an essential base of discussion with key institutional actors in the eld and to derive recommendations aimed to promote employment and professional development in the cultural sector, this research can help identify the essential terms for a fruitful debate in the academic eld and in the policy makers’ agenda. 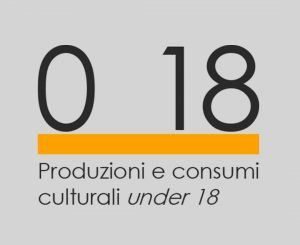 Due to the sectors’ speci cities, culture and creativity is often embedded in manufactured products (design in a garment or a car) or in popular new media services (digital delivery platforms making available creative ‘content’ such as music, games or lms); creative enterprises or cultural entrepreneurs are not satisfactorily captured by statistical tools due to their size, the project-based nature of their activities or their social value (a major feature of cultural activities) (KEA, 2015 pag. 5). By looking at the International Standard Classi cation of Occupations 2008 (ISCO-08) database, we are partially able to overcome these limits and can add significant information to the literature on the CC economy. Section 2 identifies the best definition for outlining the sectors to estimate employment in the CC occupations (CCOs). Section 3 explains the choice of the five EU countries to which the analysis is applied: France, Germany, Italy, Spain, and the United Kingdom. Sections 4 to 12 presents and discusses the results. In Section 13 some conclusions are sketched. 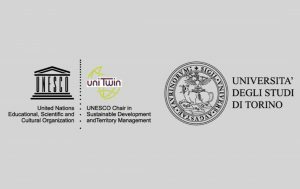 “UNESCO Cluster” has been presented at the second edition of the “International Academy on Sustainable Development – Capacity building workshop on managing Multiple Designated Areas related to UNESCO Conventions and Programmes for Sustainable Development” (Torino, 1-6 December 2016), and it includes some of the insights presented and inputs emerged during recent working sessions on UNESCO designations management models, including the workshop “Unveling the unexplored potential of Biosphere Reserves in the Mediterranean” (Chania, Crete, October 2016). 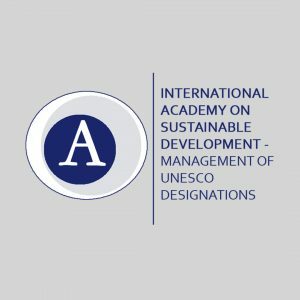 Its scope is to explore innovative and efficient models for an integrated management of territories having multiple designations according to different UNESCO Conventions and Programs, and to stimulate the debate among interested stakeholders, starting from site managers, to boost new strategies and find new possible resources for supporting UNESCO designated areas towards the sustainable development goals, as they are defined by the UN 2030 Agenda for Sustainable Development “Transforming our world”. Being a critical issue in many countries and territories, special attention is paid to the economic dimension of sustainability. The proposed contents area based on the research programs of Centro Studi Silvia Santagata- EBLA. 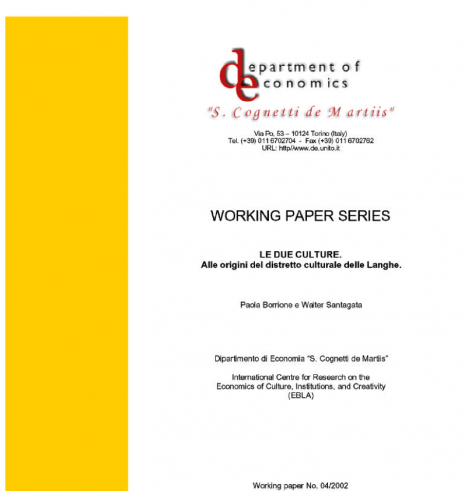 Key references are assumed in the current scientific literature on cultural economics and in the main UNESCO documents related to sustainable development. The first chapter can be downloaded, ask for full publication. When you speak about creative industries you often think of artistic and cultural ones. Nowadays they represent, infact, a new approach to economics. 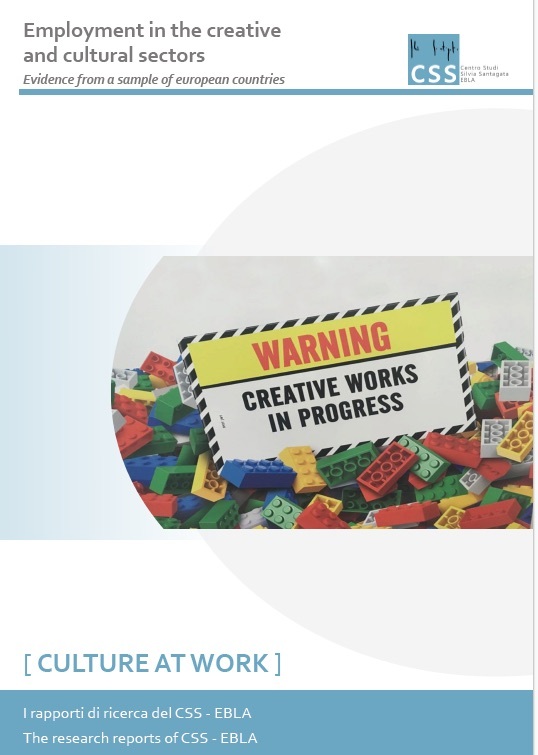 All the creative industries even the more traditional ones are using cultural and artistic resources to produce, to promote and to design their products. Fashion, for instance, is a relevant case. It creates, innovates and renews its products, like the haute couture collections, style (prêt à porter and street style) woven (fiber, textile, technical productions), forms, production (stitch, weavings, special treatments) and accessories. Being heritage complexes, made up of historic landmarks and buildings with architectural and cultural value, the cultural capital of historic city cores conveys a unique cultural atmosphere and sense of place (Licciardi, Amirtahmasebi 2012). Such idiosyncratic character is the result of the accumulated forms of cultural expressions that coalesce into the productive milieu, the styles of buildings and the associated social fabric. Investing in heritage preservation in historic city cores thus means to enhance a resource that is hardly substitutable across space and increasingly worth in the global competition among cities. In this context the monitoring of conservation interventions and policies of the impact of mass tourism in heritage sites have become major tools for a sustainable conservation and development. 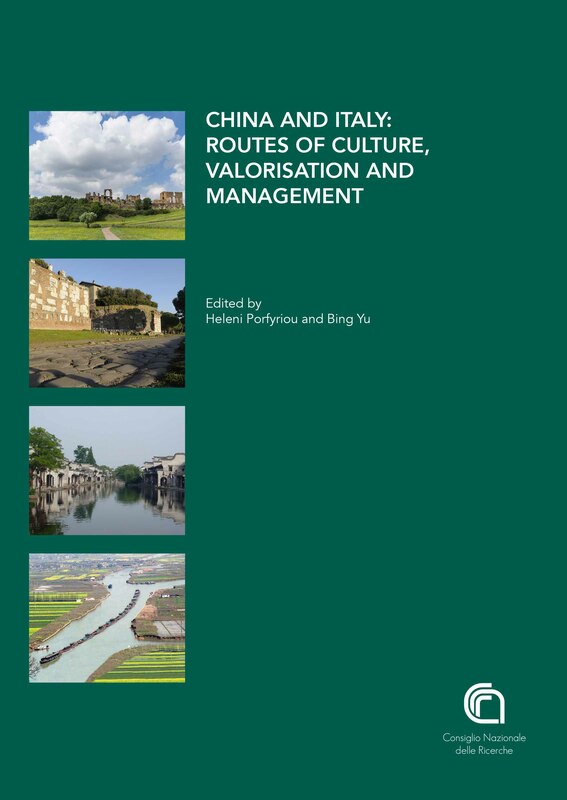 This paper intends to approach and develop those topics on the basis of some recent efforts in defining indicators for monitoring and evaluating World Heritage Sites management, and the same “value” of the World Heritage status. This approach, partially already experimented also in the Chinese context, may be further developed on a comparative Chinese-Italian basis and be eventually considered for future possible applications in Chinese WHS. This paper is focused on two cultures or interpretations, of one of the most ancient and productive world of the humanity: the one of the grapes juice that arabs called “khamr” and the greek “oînos” and the latins “vinum”. We define conventionally, the two models of culture: the culture of market and the culture of material. This first paper on the cultural district of Langhe is divided in two parts. In the first one are showed the main features of the two cultures from the historical and theoretical point of view. In the second one, instead, they are analyzed in the current context made of events and all the things that can call tourism.